Lagos State Governor, Mr. Akinwunmi Ambode (2nd right); President, Athletics Federation of Nigeria (AFN), Hon. Ibrahim Gusau (2nd left); Group Managing Director, Access Bank, Mr. Herbert Wigwe (left) and Chairman, Lagos State Sports Commission, Dr. Kweku Tando (right) during a press conference on the 2019 Lagos City Marathon at the Lagos House, Alausa, Ikeja, on Monday, October 15, 2018. 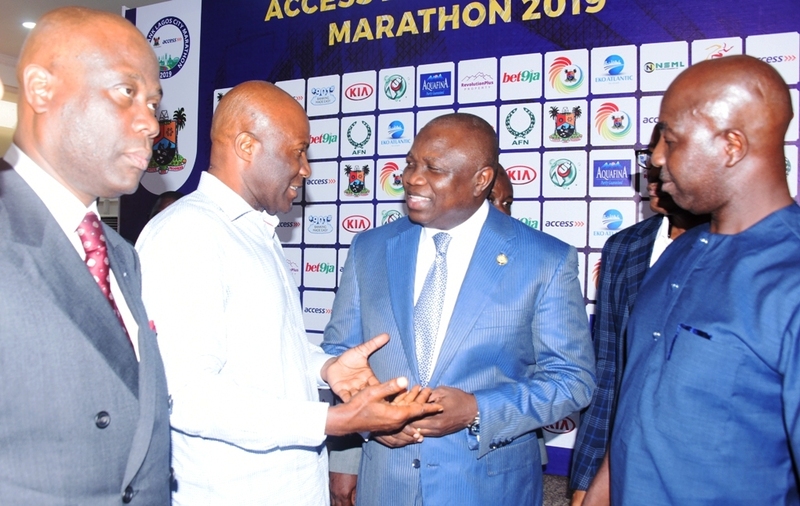 Lagos State Governor, Mr. Akinwunmi Ambode (2nd right), with Nigeria Ex-Internationals, Mr. Samson Siasia (right); Mr. Waheed Akanni (2nd left) and Group Managing Director, Access Bank, Mr. Herbert Wigwe (left) during a press conference on the 2019 Lagos City Marathon at the Lagos House, Alausa, Ikeja, on Monday, October 15, 2018. 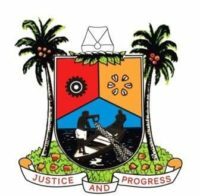 Marathon, Lagos State Governor, Mr Akinwunmi Ambode said on Monday. (IAAF) to silver, in partnership with the sponsors. February 2019, we would have not less than 150,000 participants. top class marathon, and that is our vision for this competition. means that there is still hope in this country,” Governor Ambode said. years, saying the development was a dream come true. competitions on the international calendar.